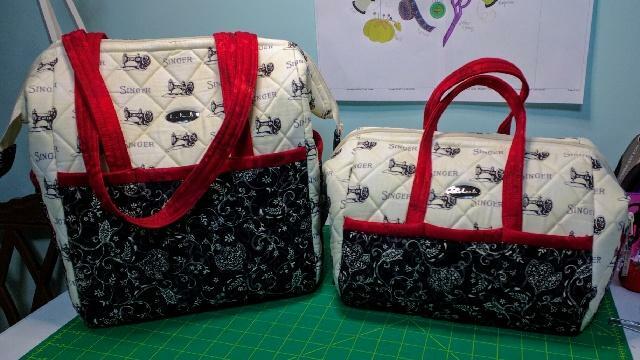 Carol is offering one class with your choice of project, either the Boxy Tote or the Tool Tote. Tool Tote is about 15" long x 10" wide x 7" tall. Tool Tote is what everyone needs! The bag everyone WANTS! Pockets all the way around on the outside, pockets all the way around on the inside! Heavy duty formed metal stays that keep the bags mouth wide open, easy to get in and reach all your important tools. Tools are not the only things it's good for--there are many other uses for this versatile tote. See Supply List.